“Look at what people do, not what they say. This glossary tries to show not how these terms are are defined, but how they are actually used. It’s easy to be caught in an enclosed world of religious concepts — which all fit together nicely (as the result of centuries of finessing by theologians) — yet which ignore descri how these terms are used to further the ends of the Church. So let’s try to look past the theological justifications and see what actually happens. Apostolic administration ― Places a diocese directly under the pope, which can be a tactful way of firing a bishop. Apostolic Signatura ― This highest Church court, which spurns modern rules of evidence, can give the final ruling on people's marriages. It functions as an appeal court for decisons of the Rota Romana which specialises in annulments. The judgements of the Signatura are upheld by the Austrian concordat. Canon Law ― Catholic religious law, the Vatican's counterpart to (Jewish) Halakha, Hindu Law and Sharia. Because it is followed by social agencies of the Catholic Church, this religious law can restrict the private lives of lay employees. It can also limiting the choices of the users of these state-subsidised services. This includes the overwhelming majority of Catholics whose views are more liberal than Canon Law. Canonical mission ― Church certification needed to teach Catholic theology. This involves checking on the orthodoxy and the personal life of a theology professor and it can also be used to weed out women. 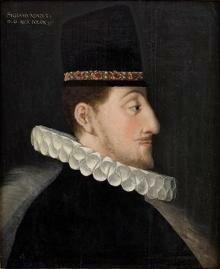 Sigismund III of Poland turned some of his Orthodox subjects into Greek Catholics, after which the Czar tried to return them to Russian Orthodoxy. Concordats ― Originally they were pacts between two rulers, upheld by threats of excommunication. With the rise of nation states they became treaties between two governments, enforced by international law. Now they lay claim to be “international human rights treaties”, guaranteed by the charters of rights of the EU and the UN. Congrua ― A state subsidy for clerical salaries in Austria. It was meant to support the “working” parish clergy, and comes from the 18th-century sale of lands held by the "idle" monks. Corporation under public law ― a legal category to which recognised religions are assigned in Germany and Austria. This began as a compromise between a state religion (as in England) and private religious organisations (as in France). A corporation under public law provides public services (at taxpayers' expense) yet is not accountable to the voters, like services provided directly by the state. This status is explicitly granted to the Catholic Church in the Austrian concordat and assumed in the German one. Greek Catholics ― an East European religious hybrid. It combines Roman Catholic theology and allegiance to the Pope, on the one hand, with Russian Orthodox liturgy and married clergy, on the other. John Paul II’s Ukrainian mother was Greek Catholic and some believe he was elected partly in order to help unify the Church. Holy See ― The government both of the Roman Catholic Church and of the State of the Vatican City. This arrangement gives the Church the privileges of a country. Legal / juridical person ― Originally invented as a legal fiction to ensure that a group (for example of monks) was held accountable for its debts, it is now skillfully used by the Church to limit its own liability. Margin of appreciation ― This principle is increasingly used by the European Court of Human Rights (ECHR). It has justified crucifixes in Italian state schools (2011), a niqab ban in France (2014) and a general erosion of human rights. Marriage Annulment ― The process by which the church effectively declares that a marriage never took place. Although expensive to obtain, espcially if appealed, an annulment can actually save a man money because, unless the state compels him to do so, he needn’t pay alimony to a woman who, according to the Church, he never married. Marriage as a sacrament ― This was a 12th-century invention which, (like the concordats begun at the same time), was meant to extend the power of the Church. 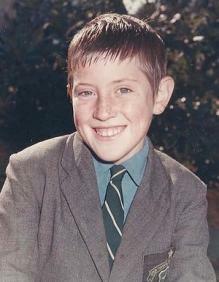 As a schoolboy John Ellis was abused for 12 years by the late priest Aidan Duggan. As a lawyer, he has acted for victims in more than 200 cases with more than 50 ongoing. In his own case, the NSW Court of Appeal in 2007 accepted the argument of the Catholic Diocese of Sydney that, though they are estimated to have more than $1 billion AUD in assets, they need pay no compensation. The Church offered the “Ellis defence”, maintaining that it is not a legal entity in Australia and cannot be sued, nor can the trust which owns its vast assets. So you can't sue the Catholic Church, as it doesn’t exist. And you can't sue the trust, as it doesn’t appoint or supervise the paedophiles. Not a legal entity (the “Ellis defence”) ― The Catholic Church in Australia successfully argued in 2007 that because it is not a legal entity in Australian law, victims of clerical abuse cannot sue it for compensation. The 2012 report by the Victoria State Police details how Church agents also discouraged victims from going to the police and warned the child abusers so that they could destroy evidence or be move to where they couldn't be prosecuted. 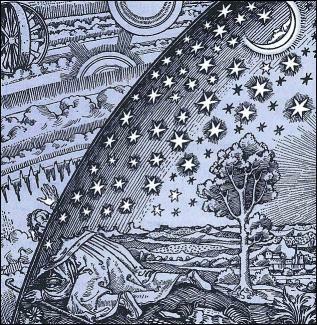 Natural law ― “Natural law is allegedly the law of God made known to reason. In effect, it is a free ticket for religious authorities to claim they ... can read God's mind.”  It's used to add additional authority to those moral rules that can be found in scriptures, and to justify those that can't. Prelature (territorial or personal) ― Assigning a territory or a group to a prelature removes it from the normal Church hierarchy and places it directly under the pope. This is done when, for various reasons, the Vatican does not wish to submit it to the jurisdiction or the oversight of a bishop. Right of patronage ― This gives a layman a say in the appointment of clerics. When granted to Spanish and Portugese kings it was anchored in concordats as “royal patronage”, (Spanish patronato real, Portugese, padroado real). At first it was given in return for encouraging the conquistadores to convert by force the inhabitants of Africa, Asia and the Americas and allowing them to reduce the pagans to "perpetual slavery". Later it was granted to former colonies which were willing to give the Church a free hand in missionising. Rites of the Catholic Church ― In addition to the Latin (or Roman) Rite, the Church has other liturgical traditions which still acknowledge the pope. In Europe the most common of these is the Greek (or Byzantine) Rite among some Slavs. Others are the Armenian, Alexandrian, Antiochian and East Syrian rites. The non-Latin rites are also covered by the concordats, sometimes explicitly. Rota Romana ― The Vatican appeal tribunal that grants an annulment if it decides that a marriage is invalid. When the two lower courts reach different verdicts over the validity of the marriage, appeal can be made to the Rota Romana. For all its pomp, the Roman Rota has been found by the European Court of Human Rights to violate the right to a fair trial. Subsidiarity ― Invented as an argument against the welfare state, this Catholic social principle is now being used against human rights. According to subsidiarity the job should be done, whenever possible, locally. In 19th-century Italy, saying that the smallest unit should handle things meant, in effect, that the parish should continue to run social services. Sometimes called “localism” by neo-conservatives, it helps them justify dismantling state services, whether or not these are handed over to the churches. The Vatican is even using “subsidiarity” to try to undermine United Nations declarations on human rights. Vatican Bank ― Officially known as the Institute for Religious Works (IOR) is built on secrecy. Described by a US court as “murky”, it keeps secret accounts, does no audits, and claims to destroy records after ten years. Since 1998, however, the Vatican Bank has come under pressure from the monetary watchdog, OECD. And at the end of 2009, to be able to continue using the euro, it agreed to submit to the anti-money-laundering laws of the European Union thus putting itself under the jurisdiction of the European Court of Justice.